1. Tap on the 'More' button in the bottom right corner. 2. 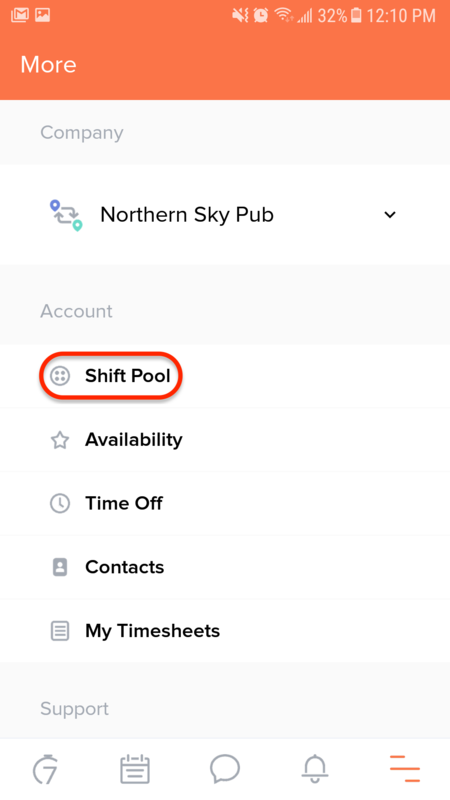 Tap 'Shift Pool' under the Account options. 3. 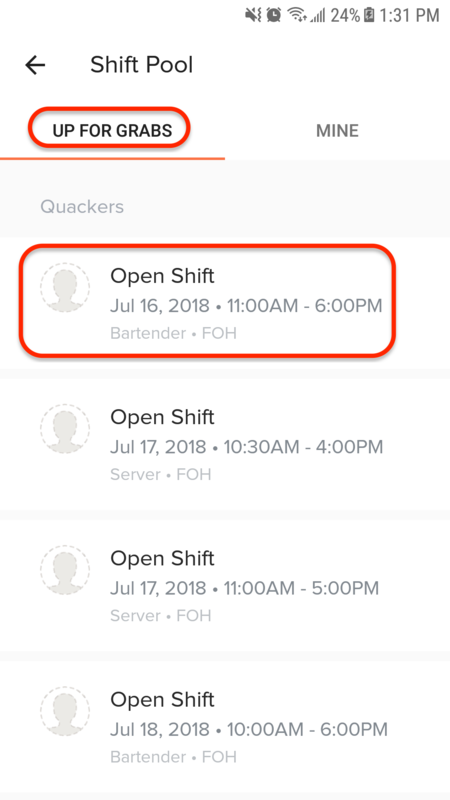 Under the 'UP FOR GRABS' tap, you'll see all shifts that are available to be bid on. From here, tap on 'Bid on shift' to place your bid. You can come back to this screen at any time and select 'Cancel Bid' for any shifts you'd like to revoke your bid. 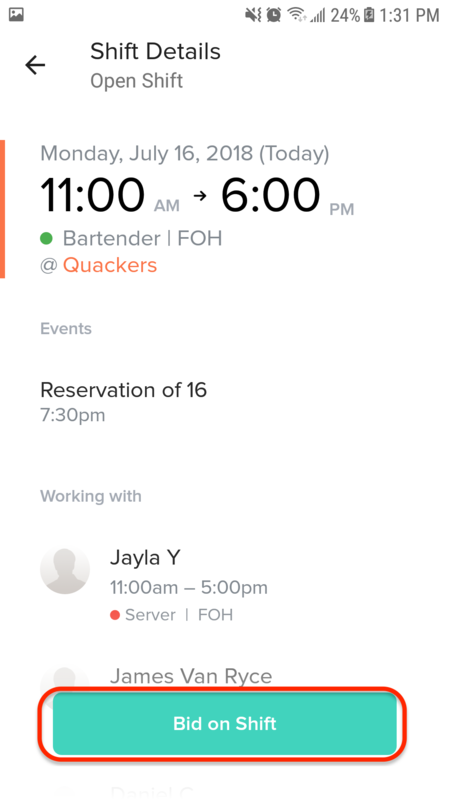 Multiple employees can bid on the shift, and your manager will decide who to assign it to. 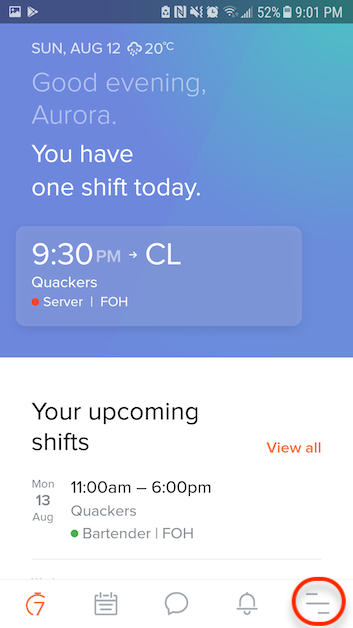 You'll get a text/push and email if you are assigned the shift.